Anyone who has enjoyed a kung-fu movie produced in the past half century owes a debt of gratitude to Louis Cha, widely known by his pen-name, Jin Yong. The Hong Kong-based novelist, who died this week at the age of 94, perfected the epic wuxia genre, creating intricate fantasies flush with sweeping kung-fu adventures that are as familiar and iconic in China as the Lord of the Rings, Stars Wars and Harry Potter are in the West. As the Associated Press reports, Cha’s kung-fu novels have sold more than 300 million copies, making them among the best-selling works in the world. (Per one editor’s estimate, if “one also counted the pirated copies, over 1 billion of Cha’s books have been sold.”) Cha’s 14 seminal novels have been adapted into movies, television shows and comic books. In the same way Tolkien set the stage for almost all the fantasy novels to come after him, Cha created a misty, medieval China full of supernatural elements, acrobatic martial arts and intricate swordplay that has influenced everything since. Cha didn’t set out with literary ambitions. 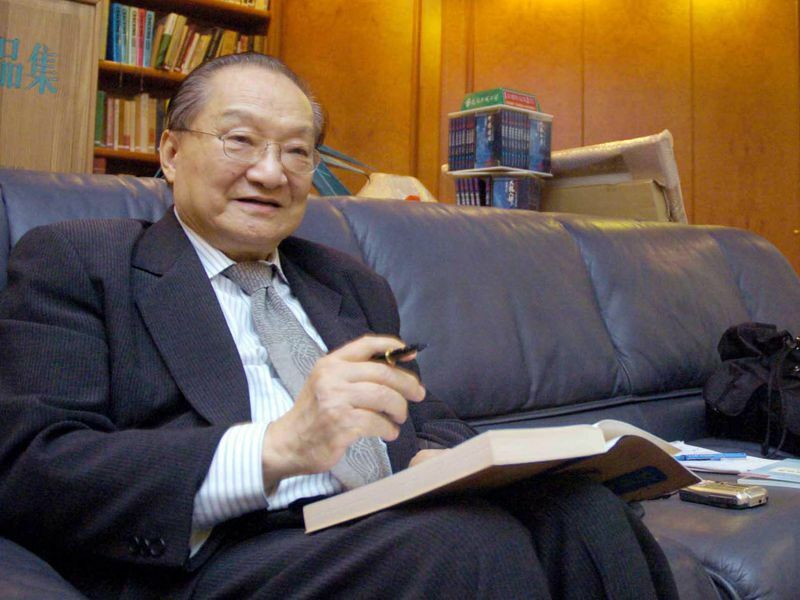 Born in 1924 in Hangzhou in mainland China, he attended law school with hopes of becoming a diplomat. He began working as a journalist to fund his education. But the communist revolution scuttled those ambitions. He moved to Hong Kong and eventually co-founded the newspaper Ming Pao. His first novel, The Book and the Sword, was originally published in 1955 in serial form, running in a newspaper where he worked at the time as a copyeditor. When the paper’s fiction writer resigned, Cha was temporarily pressed into service. He enjoyed writing fiction and continued on, making enough money to co-found Ming Pao. His master epic is the Condor Trilogy, in which a “simpleton” named Guo Jing is taught secret kung-fu techniques by a roving monk and goes on a heroic journey through world events. The female protagonist is his quick-witted girlfriend, Huang Rong, who runs away from her family and learns kung fu while posing as a beggar boy, ultimately becoming a kung-fu powerhouse in her own right. So why is it that one of the most popular authors in the world isn’t a household name in the U.S.? Writing in South China Morning Post, Graham Earnshaw, who translated The Book and the Sword into English, makes the case that while Chinese audiences intimately knew the types of characters, clothes and situations Cha wrote about, those culturally specific details had trouble bridging the language barrier. “Apart from the subject matter – often dramatic events from Chinese history that mean nothing elsewhere – the amount of description and the things described and not described, I think, make it difficult for Western readers to relate to Cha’s work,” Earnshaw writes. Cha’s legacy goes beyond sick kung-fu moves and iconic storytelling. As Nick Frisch at The New Yorker reports, Cha’s books were often veiled allegories of life under Chinese communism. He published anti-Maoist editorials in his newspaper to the displeasure of the Chinese government. In 1997, he was on the commission that handed Hong Kong back to the mainland and helped negotiate the terms. One of the results was that his books, once banned in much of China, were legalized (though it’s rumored president Deng Xiaoping sent agents to Hong Kong in the early ’80s to get him a set of Cha’s novels). Unlike Tolkien, who left behind so much research and so many partially completed manuscripts after his death in 1973 that new books are still being published to this day, it’s unlikely we’ll see any new Jin Yong. Cha published his final martial arts book in 1972, and despite decades of desperate pleas from fans, he never returned to the genre.